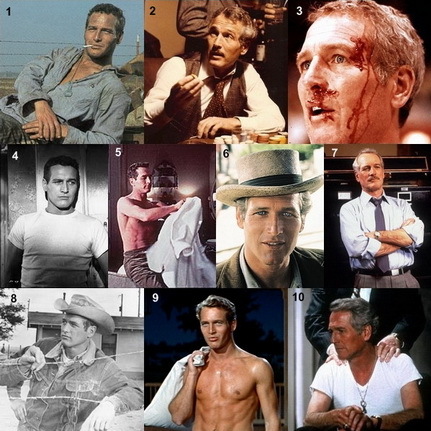 This week we pay special tribute to the late great Paul Newman, one of the best-loved and brightest stars of all time. Take a wistful look at the photo montage below and identify the movies starring this famously handsome leading man. Answers will be put up on Wednesday morning. In the meantime I will be calling in sick so that I can enjoy a movie marathon of his memorable performances while snacking on some Newman Own’s popcorn. Wooh! That picture on the bottom, in the middle? Put down that pillowcase, honey, and come back to BED.